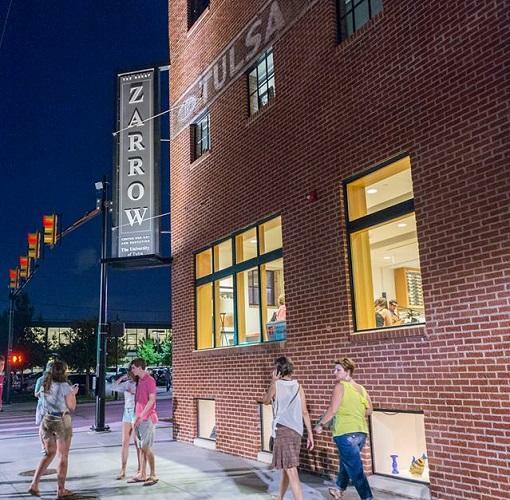 In the midst of the revitalized downtown Tulsa Arts District is the Henry Zarrow Center for Art and Education — a dynamic arts anchor with art exhibitions offered by The University of Tulsa’s School of Art. The first floor features gallery space where the public can enjoy exhibits in a social setting. Special exhibitions are featured in the Sherman Smith Family Gallery, including shows featuring the artwork of local, regional and nationally recognized emerging artists. Gallery Hours: Thursday – Saturday: 12:00 – 6:00 p.m.
124 E. M.B. Brady St.